In honor of Peggy Fikac, an update on who is running for what as a Democrat in 2014. Starting at the top, folks who attended the HCDP Johnson-Rayburn-Richards event on Saturday had the opportunity to meet Maxey Scherr, a 33-year-old attorney from El Paso who will be filing to run for Senate against John Cornyn. Art Pronin has a couple of pictures of her on his Facebook page – see here and here, assuming his security settings allow for that, and see here for a brief bio and video. I had a chance to meet Maxey on Friday thanks to Barbara Radnofsky, who was hosting her and introducing her around. She would be a first-time candidate, which is daunting to say the least at a statewide level, but she has some connections that will serve her well to get going. She is friends with both Rep. Beto O’Rourke and former Rep. Silvestre Reyes, and is good friends with and a former schoolmate of the daughter of John Cook, the former Mayor of El Paso who is now the Democratic candidate for Land Commissioner. Scherr’s father James Scherr is a fixture in politics there and will apparently take a year off from his position as senior partner at their law firm to fundraise for her. I think she has the potential to raise a few bucks, which will be worth keeping an eye on. Rick Noriega took in about $4.5 million over the course of his candidacy in 2008; I think Scherr can top that. I also think she can take advantage of advances in technology and changes in the electorate and how to reach them to stretch those dollars farther. I expect her to run a progressive campaign geared at least in part towards voters of her own cohort, which is something we’re not used to seeing in this state and which ought to provide a good contrast to an old-boy establishment figure like Cornyn. Look for more information and a formal announcement from Maxey Scherr shortly. In our exclusive interview, Mr. Brown spoke with me about his political history, including having served in the Clinton White House and how he was elected as chair of the Fort Bend County Democratic Party in 2010. He resigned the Chairmanship earlier this year when he began considering a run for elected office. He stated that he wanted to run for Texas Railroad Commissioner because the Commission needs an advocate for regular Texans while making sure people who are doing the right things in regards to oil and gas production are not being punished. Mr. Brown stated his preference to see the Commission change its name to reflect that it is a regulatory commission over the energy sector, and not railroads. He also stated his desire to see stronger ethics rules implemented over the Commissioners. When asked about Republicans who cited federal oversight was a job killer, Mr. Brown responded that people who used that excuse were not being creative when it came to finding solutions. He pointed out again that one of the roles of a Commissioner is to punish bad actors who violate laws, not to give everyone a free pass. Stephen Brown has been a great advocate for the Texas Democratic Party as Fort Bend County’s Chairman and served the Party with distinction and honor. There’s an interview at the link, so go give it a listen. With Scherr and Brown jumping in, the one remaining hole among the non-judicial offices is Lt. Governor, where we are still waiting on a decision from Sen. Leticia Van de Putte. While she waits, as noted by PDiddie, Maria Alvarado, the 2006 Democratic candidate for Lt. Gov., has announced her candidacy. Good for her and all, but with all due respect, I’m still waiting for Sen. Van de Putte. That still leaves judicial candidates. Via both Maxey Scherr and Attorney General candidate Sam Houston, whom I saw briefly on Saturday evening, El Paso District Court Judge Bill Moody, the top Democratic votegetter in 2006, will be running for Supreme Court again. Sam Houston told me that the TDP was working with other candidates for Supreme Court and that he expected the Dems to field a full slate there, though he didn’t know what was going on with the Court of Criminal Appeals. This is the first news I’ve heard about the statewide judicial races, and it’s reasonably encouraging. If you have heard anything about these races, please leave a comment and let us know. Finally, in Harris County, we now have a Democratic candidate for the At Large HCDE Trustee position that Jim Henley vacated in June. Traci Jensen, who ran for the State Board of Education in 2012 and who had expressed interest in being appointed to fill Henley’s seat, announced on Facebook that she would run for the position. Rumor has it that former Trustee Michael Wolfe, who was ousted by Diane Trautman last year, is seeking to reclaim a spot on the Board, so having a strong and well-qualified candidate like Jensen will be important. Last but not least, Glorice McPherson is out collecting signatures to run for County Commissioner in Precinct 2, which would be against Jack Morman. McPherson ran against Steve Radack in 2012 in CC3, which puzzled me a bit at first, but her voter registration card indicates she lives in CC2, so I presume she moved in the last year or so. A lot of people have been talking about running in CC2 so I don’t expect this will be the last word, but for now there is at least one candidate in the race. That’s all I’ve got. If you have any further rumor, innuendo, or actual fact about 2014, leave a comment and pass it on. Remember, the filing period begins November 9, so there’s hardly time to catch one’s breath after this election before the next one gets going. The Chron joins the DMN and the Star-Telegram in endorsing Keith Hampton for the Court of Criminal Appeals. We highly recommend that voters cast their ballots instead for Democratic challenger Keith Hampton. This endorsement is not merely a rejection of the incumbent judge’s poor track record, but enthusiastic support for Hampton’s impressive history of working to improve the Texas judiciary, whether trying cases in courtrooms or shaping policy in Austin. With experience ranging from criminal district courts up to the U.S. Supreme Court, Hampton has an extensive criminal defense track record that’s not common enough on the state’s highest criminal court. Endorsed by seven former state bar presidents, Hampton is respected across the political spectrum for his work and expertise. As governor, George W. Bush appointed Hampton to the Ad Hoc Advisory Committee to revise the Code of Criminal Procedure. 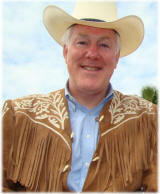 And when he was on the Texas Supreme Court, John Cornyn appointed Hampton to the Supreme Court Jury Task Force. Hampton also worked with state legislators to improve our judicial system, notably spearheading the creation of Veterans’ Courts in Texas – specialty courts that handle veterans suffering from service-related injuries, such as post-traumatic stress disorder, who are prone to violence or drug use. One would be hard pressed to find a better candidate for the Court of Criminal Appeals. As you might expect, the Chron began their piece with the usual airing of grievances against Sharon Keller, before noting that their recommendation of Hampton was based on more than just her long list of sins. It must be noted that Keller does have some positive accomplishments in her tenure as judge, mostly having to do with the state’s Indigent Defense Task Force. But whatever positive qualities she must have had to bring to that work, they have been consipcuously absent in her judicial record, and it is by that record that we judge her. By any accounting of that record, she fails as a judge, and it is only right to vote her off the bench. As I said before, it should be the case that editorial boards across the state reach that conclusion. And if they do, will it make any difference? I asked that question back in 2006, when Democratic Supreme Court candidate Bill Moody swept the newspaper endorsements against underqualified Perry appointee Don Willett. My conclusion at the time was that all things being equal it was worth a few percentage points in the final tally. That was six years ago, in an election that had relatively low turnout and low levels of partisan fervor, neither of which are or will be true this year. Still, given that each endorsement is also an opportunity to remind people of Keller’s awful record, I do figure it will make some difference, and in an election where 48% of the vote may well be enough to win, every little bit helps. We’ll see how it turns out. Jason Stanford has a question. So why aren’t we targeting Ron Paul again? The Texas legislature drew him the reapportionment equivalent of a target on his back. They took away some of his red meat territory and gave him Galveston and Jefferson counties, something which failed to raise Kuff’s spirits. Kuff’s not the only one to think this is a non-starter. Everyone in Austin is waiting for relief from the courts or from Obama’s DoJ, and rumor is that the DCCC doesn’t even consider targeting Ron Paul a remote possibility. And yes, though unpopular Ron Paul does have name ID, and he can raise millions at the click of a mouse. And Obama only got 42% in 2008 in this district. I think all of the arguments against targeting Ron Paul can be chalked up to entrenched pessimism. As I pointed out before, Democrats routinely win these kinds of seats nationwide. But to really make a case, we’re going to have to see a path to victory in the numbers. First, the placeholder Democrats. Can your average numbnuts candidate do well? Luckily, we have a healthy sample of those, and Kuff breaks down the numbers. Toss out the 2010 results. We can’t plan for a 100-year-flood every two years. And if 2010 is the new paradigm, we should all quit and sell gold. Those results are pointless either way. Moving on. The apples to apples argument is statewide judicial candidate Sam Houston, who got 47.3% in the new CD14 in 2008, the last presidential year. Houston didn’t have much cash, was working against years of salesmanship about tort reform, and suffered, at least in the new CD 14, of the effects of a hurricane in Galveston, and he still came pretty close. Like I said, the trends are in the wrong direction. Moody was on the ballot last year as well, and his numbers (26,162 in Galveston; 24,539 in Jefferson) continue that trend. Galveston is a growing county, where most of the growth is coming from the northern, Republican suburbs like Friendswood and League City. Jefferson is a stagnant county made up of staunchly Democratic African-Americans and formerly Democratic Anglos, the latter of which are the bulk of the population and growing less Democratic every day. I hate to be a wet blanket, but I have higher hopes going forward for CDs like 06, 12, 31, and 32, where you can see the population trends be more favorable. Again, I don’t want to write off any reasonable district. This one absolutely deserves attention, especially given its very different nature from the previous map. Looking beyond 2012, Paul won’t be around forever – he turns 76 this August – so regardless of what the past numbers look like, someone needs to be thinking about the future in CD14. I just want to be realistic about what we’ll be getting into. CD16 is in El Paso, which is Moody’s home county, so that result is understandable. The rest are puzzling to me. CDs 11, 13, and 19 are West Texas/Panhandle; CD 4 is northeast Texas; CD 36 is southeast Texas, including southeast Harris County; CD27 is Central Texas. All except CD16 are Republican, mostly strong Republican. Why Moody would do so much better in these places is rather a mystery to me. Clearly, he got some crossover Republican support – I can’t say how much right now because I don’t have any other statewide results for 2006 – but so did White. Simply put, the baseline Democratic vote had to decline in these locations. Was that because they didn’t vote, or because they’re voting Republican now? I can’t answer that question, but whoever runs for Governor in 2014 better get a handle on it. Much more of a mixed bag here. The districts are geographically all over, and run the gamut from strong D to strong R. What stands out to me is that for the most part, Moody’s total exceeded LCT’s by about what you’d expect given that he had about nine percent more votes overall. The exceptions to that are CDs 14, 17, 21, 24, 25, and 32. Similarly, White topped Moody by about 12%, and he clearly exceeded that in CDs 3, 8, 10, and 26. Note that two of those districts are either partially in Harris County (CD10) or next door to it (CD08). Keep that in mind as we look at the set of districts in which both White and LCT surpassed Moody. Six of these nine districts are wholly or partially in Harris County; of the others, CDs 15 and 28 are South Texas, and CD30 is Dallas. The step up from 2006 is huge – fifty percent or more in some cases. Anyone who claims White had no coattails in his home turf needs to explain these numbers. Now of course the Republican surge wiped everyone out, but the point, which I’ve made before, is that base Democratic turnout improved quite a bit in Harris County over 2006, as 2006 had done over 2002, and that this bodes well for 2014 as 2008’s gains should bode well for 2012. Anyway. I don’t know that I have any broad conclusions to draw here. As I said, anyone thinking about running statewide in 2014 needs to understand what happened in those West Texas districts, and what if anything could have been done to improve things in the big middle group of districts. I myself have not spent much time studying 2010 data because the Republican wave obscures much of what’s interesting about the data. It doesn’t obliterate it, however, and that’s something I need to keep in mind. There’s always something to learn if you look for it. The Republican-controlled Texas Senate approved a new congressional district map for the state Monday and sent it to Gov. Rick Perry for his approval. The map was approved 19-12 along party lines and without debate. Democrats have complained the new map violates the federal Voting Rights Act by splitting Latino and black communities and diluting their voting power. If Perry, a Republican, signs the map into law, it will go to the Department of Justice for review. The Voting Rights Act requires Texas to make sure the map does not diminish minority representation. As observed before, all downballot Dems but one carried CD23 in 2008, with two of them getting a clear majority. This district is definitely winnable and should be a top target in 2012. Other districts bear watching and deserve willing challengers, but may not be ready to turn. Joe Barton’s millions will make CD06 a tough nut to crack even as it keeps getting bluer. White is Bill White, LCT is Linda Chavez-Thompson, the 2010 Democratic nominee for Lt. Gov., BAR is Barbara Radnofsky, the 2010 nominee for Attorney General, and Moody is Bill Moody, who ran for State Supreme Court in 2006 (and in 2002 and 2010, but never mind that for now). White was by far the top Democratic votegetter in 2010, earning about 400,000 more votes than most of the rest of the Dems, all of which came out of Rick Perry’s totals. Radnofsky was the Democratic low scorer, as Greg Abbott topped the GOP field – he had about 115,000 more votes than Lt. Gov. David Dewhurst – and won a few crossover votes of his own in doing so. Moody was the top Dem in 2006. BAR’s numbers represent a worst case scenario. Three districts drawn for Democrats – Ruben Hinojosa’s CD15, Charlie Gonzalez’s CD20, and the “new” CD34 (which is really Solomon Ortiz’s old district with a different number) would fall under these conditions. The good news, if you want to look at it that way, is that BAR lost by over 30 points. LCT, who lost by “only” 27 points, won all 10 of these districts; she didn’t get a majority in CD15 but she did carry it by two points and about 2,000 votes. Barring a repeat of 2010 or unfavorable demographic changes, these districts should continue to lean Democratic even in bad years. That said, if I had absolute control over who ran for what, I’d give serious thought to finding a successor for the 71-year-old financially troubled Rep. Hinojosa, on the theory that it’s better to defend an open seat in a year where the wind will probably be at your back than in a year where maybe it won’t be. I included Moody’s 2006 numbers because I wanted to show what things might look like in a year where Republican turnout isn’t crazy off-the-scale high. The comparison is a bit skewed because the 2008 and 2010 reports from the Texas Legislative Council include third-party candidate, but reports from before then do not. There was a Libertarian candidate in the Moody-Don Willett race in 2006, and that candidate got about 4%, so Moody’s numbers here are all a bit high. Still, you see that he won CD23, lost CD27 by a hair (less than 300 votes), and – surprise! – won CD14. I still believe that the underlying fundamentals of that district are going the wrong way, but who knows? The right candidate with the right message could make life interesting in 2014. I will have one more thing to say about these numbers in a future post, but for now that about closes the books, at least until the Justice Department and eventually the courts have their say. Remember, if history is any guide, we’ll have some new districts to play with in 2016. You can see the 2010 report here, the 2008 report here, and the 2006 report here; my thanks to Greg for sharing them with me. The Lone Star Project has more. Moody was the high scorer among Democratic statewide candidates in 2006. Sweeping the newspaper endorsements that year probably helped him a little. He won’t get that this year, as the DMN went with the Republican incumbent, but I would still expect him to do well overall. For the one contested Court of Criminal Appeals race, the Chron stuck with incumbent Mike Keasler even if he is part of the problem with that court. I don’t think I can add anything to that. Moody, a District Court justice in El Paso, was the top performer among Democratic candidates in 2006, getting 45% of the vote while sweeping the newspaper endorsements. He ran for Supreme Court in 2002 as well. Next is Jeff Weems, candidate for Railroad Commissioner. 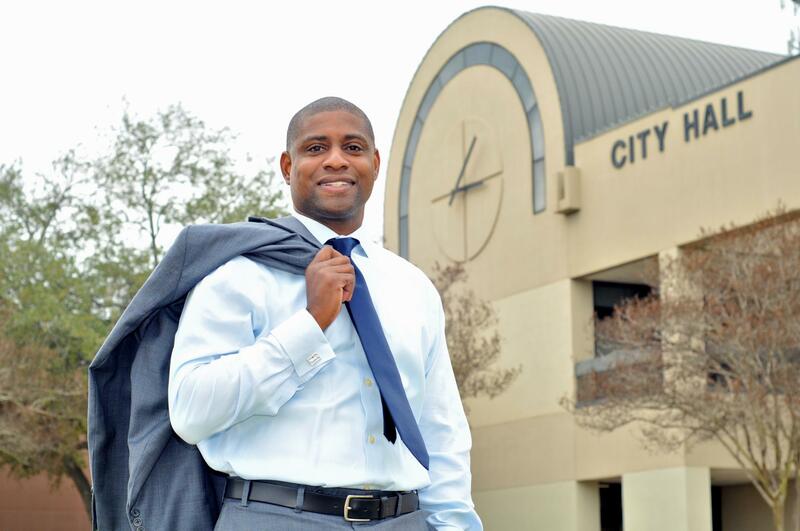 Weems, a Houstonian, is running against the no-name Republican that knocked off Victor Carrillo in the GOP primary. He’s got a lot of experience and expertise in the energy industry; if any of that matters, he should win easily. I’ll be very interested to see what his fundraising totals look like in July. In the previous entry, I said there was another way we could compare the 2002 and 2006 statewide judicial elections to get a feel for how partisan voting patterns changed at the county level. Turns out that the two Democratic candidates for statewide judicial office in 2006, Bill Moody and JR Molina, were also candidates in 2006. Let’s see how they did in each year. Note again that each 2006 race also featured a Libertarian candidate; the 2002 race between Molina and Cathy Cochran included a Green Party candidate. The list of counties and the reasons for the changes in their performance are familiar by now, and I don’t have any new insights to add. The reason why Moody and Molina each did better in this comparison is simple: The previous comparison matched them up with the top performing Democrat in 2002 for each court. As it happens, they were each the second-best performing Democrat; there were five contested Supreme Court races, with Moody doing better than three others and worse than one, and three contested CCA races, with Molina doing better than one and worse than one. They were the only Democratic challengers in 2006, so the comparisons can only get more favorable from here. As you can see, their percentage and total votes improved even though turnout was down by 100,000 to 300,000 votes. I don’t know how many ways there are for me to say that the trend has been decidedly Democratic, but I guess I need to find one more, because there it is again. I had thought this would be the last thing to say about this subject, but since I started writing this entry I thought of one more comparison to make, which I’ll publish next week. As always, let me know what you think. – Right off the bat, the main difference between this comparison and 2004-2008 comparisons is with turnout. Where 2008 saw 650,000 more voters than 2004, 2006 saw a decline from 2002. In the Governor’s race, for example, there were 4,553,987 votes cast in 2002, but only 4,399,116 in 2006. I attribute this to there being fewer high profile races – in 2006, about all that people were really paying attention to was the Governor’s race, and that was more for the wackiness factor, while 2002 had high-profile, big-dollar races for the Senate and Lite Guv as well. In addition, the lack of a Democratic “ticket” meant there was basically no statewide GOTV effort. You’ll clearly see the effect of this in some counties. – In the races we’re actually considering, Willett/Moody drew 295,700 fewer votes than Smith/Mirabal, while Keller/Molina attracted 149,880 fewer than Womack/Montgomery. It should be noted that there was a Libertarian candidate in the Willett/Moody race; that was the only such contest with a third candidate. As always, only the R and D vote totals are considered. – As such, in the end everyone lost votes from 2002 to 2006. The Republicans lost more votes, however, so the Democrats had a net gain in each race. Smith got 2,331,140 votes, Willett got 2,135,612, for a drop of 195,528. Mirabal received 1,978,081 votes to Moody’s 1,877,909, a decline of 100,182 but a net reduction of the Dems’ deficit of 95,356, from -353,059 to -257,703. On the CCA side, it was Womack 2,463,069 and Keller 2,346,204, a dip of 116,865, and Montgomery 1,828,431, Molina 1,795,416, a drop of 33,015 but a net pickup on the deficit of 83,850 as it reduced from -634,638 to -550,788. Say what you want about Tony Sanchez and his Titanic campaign, but he helped bring a huge number of Democratic voters out to the polls. Just look at the huge dropoffs in 2006 in Webb (Sanchez’s home base), Hidalgo, and Maverick. If we were to continue down this list, we’d see similar declines. Willacy, Jim Wells, Brooks, Zapata, Frio, Zavala, Jim Hogg, and Dimmitt – all of them saw their Democratic turnout drop by as much as 50% or more. To a lesser degree, it was the same effect in Cameron, Nueces, and Bexar. When you hear people talk about the Democrats’ strategy or lack of same for the Valley and South Texas, this is their Exhibit A. We know about Jefferson and Angelina, which were moving away from the Democrats from 2004 to 2008; this is just a part of that trend, with Jefferson also being at the bottom of a population dip in 2006. Smith is also a county that is moving away from the Democrats, though that effect was masked in 2008 due in part to its higher than average African-American population. As for Harris, I’d attribute the downer to there being basically no Democratic ground game in 2006. I can say with confidence that will not be the case this year. Webb, Hidalgo, Maverick, Cameron, and Nueces are all still there, with their issues of depressed Democratic turnout from 2002. Note, however, that JR Molina failed to win Nueces while Moody, who ran an actual campaign, carried it. Angelina and Jefferson, with their increasingly red (and in Jefferson’s case, shrinking overall) populations are there as well. El Paso had the same turnout issues as the first five counties, with about 10,000 fewer voters showing up in 2006, but it’s also Bill Moody’s home turf, and he killed there, getting over 70% of the vote and more than 6,000 more tallies than Molina, giving him a net gain over Mirabal. The other two new counties here are small ones. Moody lost ground in Medina and Wilson counties, he just lost less than Molina did, with -1850 in Medina and -750 in Wilson. What’s more interesting is the counties they replaced: Harris and Bexar. Margaret Mirabal ran very strongly in Harris in 2002, just a wee bit better than Bill Moody, but enough to represent a big drop in net margin. Montgomery and Molina were more representative of average performance in each year, so Molina wound up with a net gain. Same story with Bexar, though Moody won it as Mirabal had, just by a smaller margin. Again, we’ll revisit all this later. Most of this you’re already familiar with, so I won’t belabor it. Note that Harris went from one of Moody’s biggest net losses to one of Molina’s biggest net gains; that says more about Margaret Mirabal than anything else. Note also that the Dallas Democratic sweep of 2006 was happening even as Democratic turnout from 2002 was down. That says more about the demographics of that area than anything else, and it’s one reason why I believe suggestions of a Republican comeback there, outside of perhaps the District Attorney’s race and its unique dynamics, are farfetched. So that’s our first look at the 2002 and 2006 judicial elections. There’s one more way to look at them, and that’s what we’ll do in the last entry of this series. Via Greg, it appears that Smokey Joe Barton may want to party like it’s 1993. No one seems to be mentioning U.S. Rep. Joe Barton, R-Arlington, as a candidate to replace outgoing Sen. Kay Bailey Hutchison, R-Texas. Turns out that Barton — who came in third in the 1993 special election that Hutchison won in a runoff — is indeed thinking about running. If he runs, Barton, a congressman since 1985, will not have to give up his seat, but he will have to do something pretty quickly about an awkward situation. His longtime campaign consultant and spokesman, Craig Murphy, is also the spokesman for Roger Williams, the Weatherford auto dealer and former secretary of state who — oops — is running for Senate. Barton drew a shade under 14% of the vote in the 24-candidate field, good for third place and a smidgeon ahead of former Republican Congressman Jack Fields. 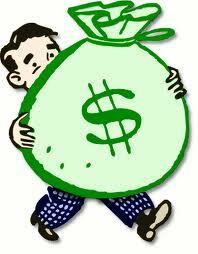 He wasn’t anywhere close to finishing in the money, however, as KBH and appointed Sen. Bob Krueger each received 29%. I have no idea why he thinks he might do any better this time around, but hey, dream big. And I’ll somewhat churlishly note that it’s only a free shot if KBH does in fact resign, which I’ll believe when it actually happens. Burka, who notes that Barton has a decent chunk of change in his campaign coffers, suggests the possibility of Barton being Perry’s appointee to the seat. I dunno about that, but as he says, stranger things have happened. Barbara Ann Radnofsky, the Democrats’ 2006 U.S. Senate nominee, has announced she’ll run for state attorney general. Others who have run before (Hank Gilbert, agriculture commissioner; Sam Houston, Texas Supreme Court; William Moody, Texas Supreme Court; Richard Raymond, land commissioner; Nick Lampson, U.S. House) are described by party leaders as weighing or intending statewide bids. I can confirm that Hank Gilbert is running. Moody and Houston are great names to hear, as they were the Democratic frontrunners in 2006 and 2008, respectively. Having them both on the ticket – I’m hoping they’re not each eyeing Harriet O’Neill’s open seat – would be an asset. I know Rep. Raymond has had ambitions for another statewide run, but this is the first I’ve heard of it. As for former Rep. Lampson, I know he mulled a Senate run in 2008 before deciding to try for re-election in CD22. I’ve no idea offhand what office he might have in mind – the Senate special election field is pretty crowded – so I don’t know what to say about this other than it’s the first I’ve heard of it as well. Earle, who earlier said he might run for attorney general, said that he’s no longer eyeing that possibility; he’s had a law enforcement post. So it’s presumably Governor or nothing for Earle, unless he’s open to the Lite Guv position; I’m assuming he’s not interested in running for Comptroller or Land Commissioner or something like that. But AG is out, so that’s good news for Radnofsky.